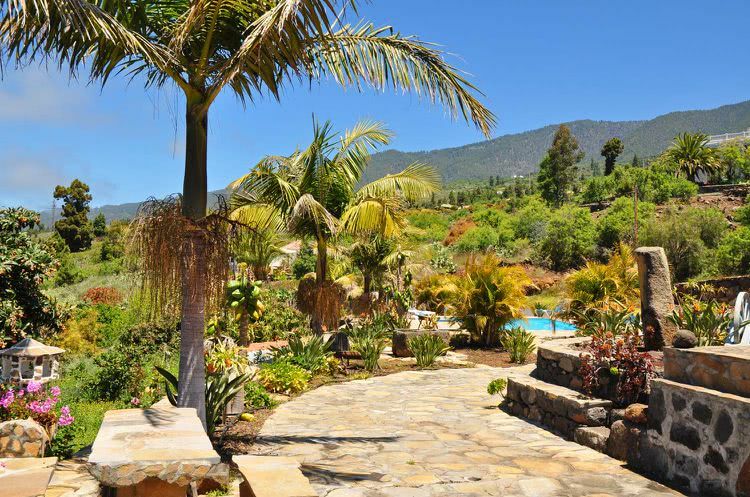 The two apartments Geranios 1 + 2 are situated in La Punta near Tijarafe on the westside of La Palma. 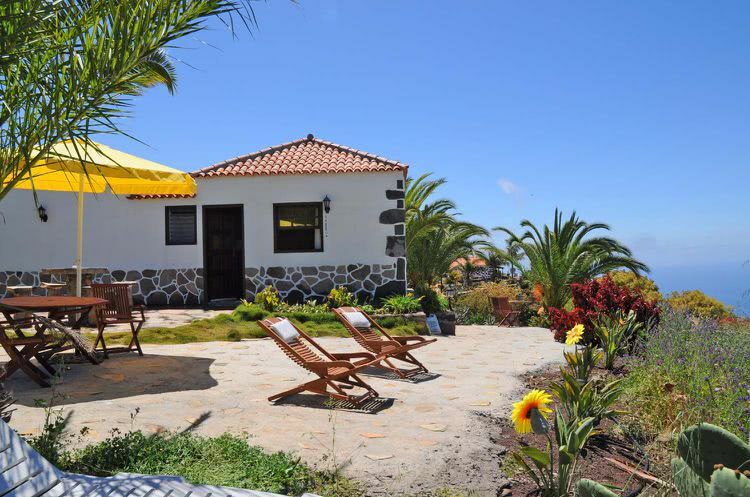 They are rebuilt out of ancient typical farmhouses and are situated 650 m over sea level. The common swimming pool is surrounded by palms and tropical plants and with the length of 10 m suitable for early morning excercises. 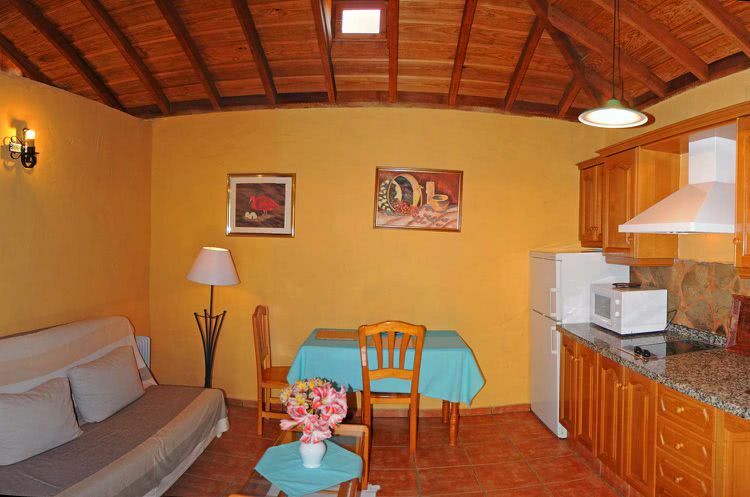 From the apartment you have a impressive view over the atlantic ocean in front of La Palma. 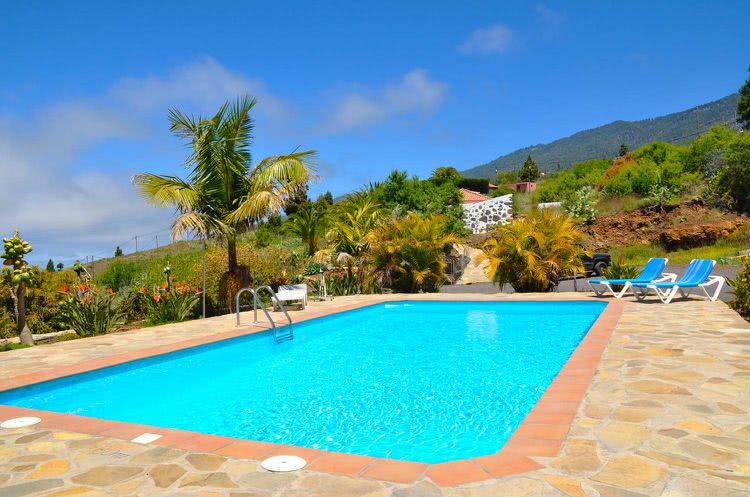 Next supermarket and restaurants approximately 3 km, the beach of Tazacorte approximately 15 minutes by car. 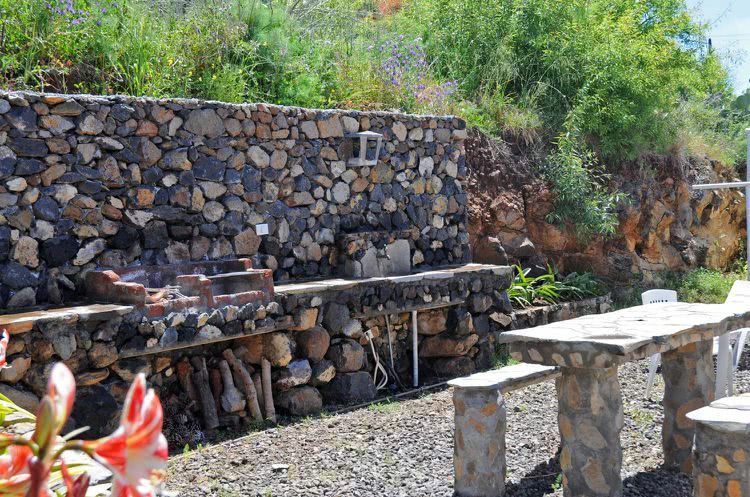 The two houses Geranios 1 and 2 are located on a very large and ancient finca. 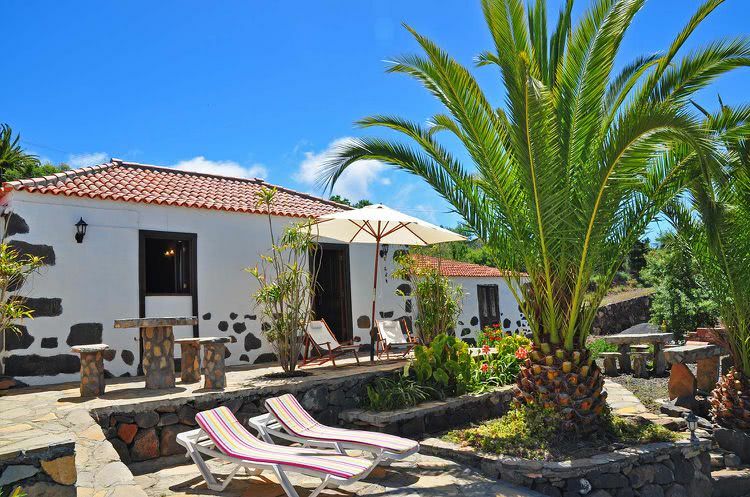 The renovated canarian houses with typical open wooden ceilings offer the guest a balanced living atmosphere. The kitchens are integrated into the living room, there is space for a child on the additional couch. 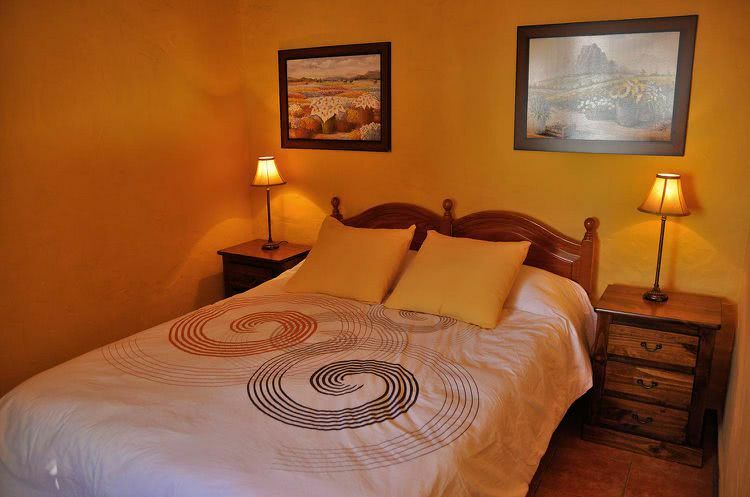 In each of the bedrooms of the holiday apartments Geranios 1 and 2 you have a double bed available. In both rooms a satellite Tv with german channels ensures cozy night times. There is also an internet access with Wifi in both houses. The holiday apartments offer a pretty bathroom with shower and towels. The terraces are surrounding the whole house and you will find sun loungers and garden furniture as well as nicely invested gardens with tropical plants. Not just from the pool but also from the terraces you have a view to the ocean. For each holiday apartment there is one BBQ for comfortable grill evenings with a beautiful sunset. Für jede Ferienwohnung ist je eine Grillstelle für gemütliche Grillabende zum Sonnenuntergang vorhanden. The pool is to share with the holiday apartment Abuelos A and B. 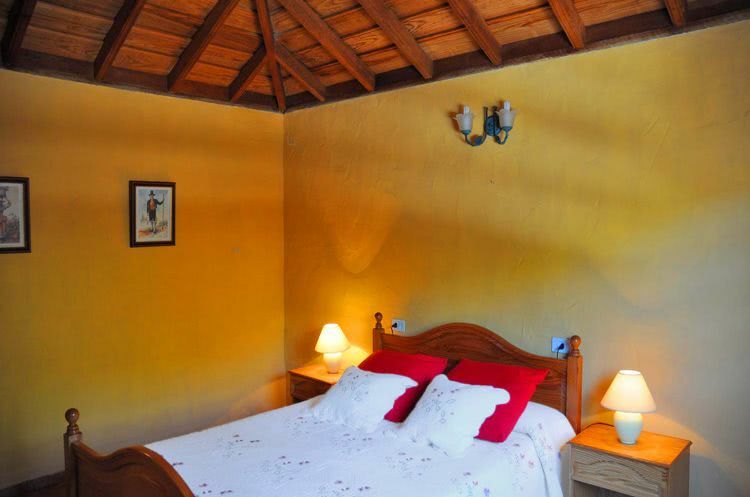 For one additional person 12 Euro per night.